President Trump, Florida's two senators and Gov. DeSantis are expected to visit Lake Okeechobee at 1 p.m. Friday. 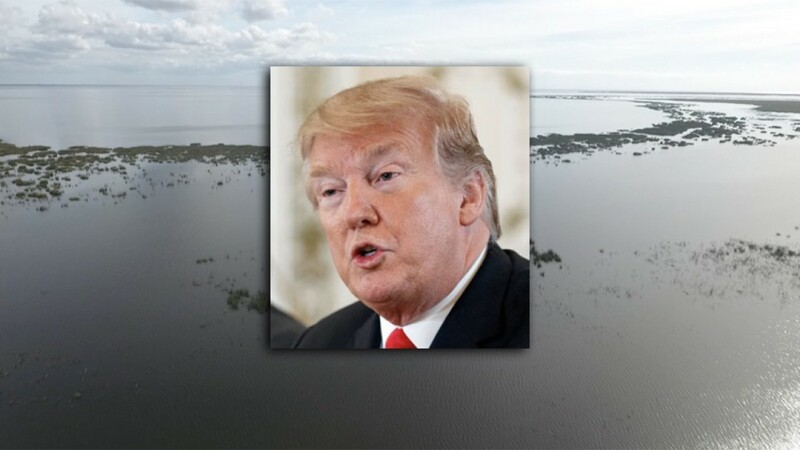 President Trump will make a major environmental visit to Lake Okeechobee on Friday. 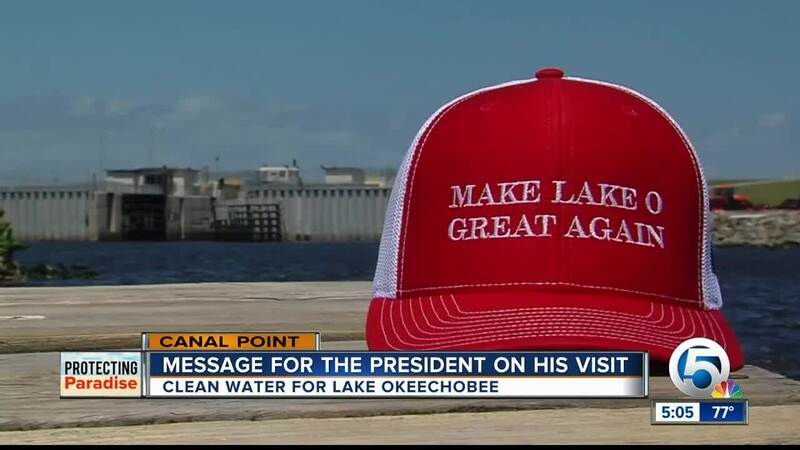 According to a senior administration official, the president will do an aerial tour of the lake at 1 p.m. Friday and look at the work being done on the aging Herbert Hoover Dike to improve water quality across South Florida. President Trump will be joined by Gov. Ron DeSantis, U.S. Sen. Rick Scott, U.S. Sen. Marco Rubio, as well as local congressmen and other leaders, according to a senior administration official. 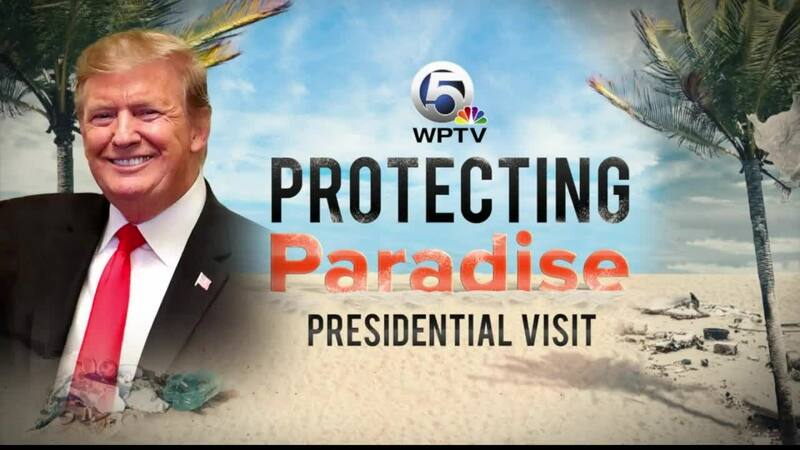 Following the aerial tour, Trump will deliver remarks then depart Lake Okeechobee around 2 p.m.
FAA flight restrictions are now in place through Sunday for the Palm Beach area. In addition, the FAA issued flight restrictions for Friday for Canal Point, a community on the southeastern edge of Lake Okeechobee. The Okeechoobee County Sheriff's Office said there will be intermittent road closures from 10 a.m. to 3 p.m. Friday on U.S. 441 in Canal Point and to the Martin County line. 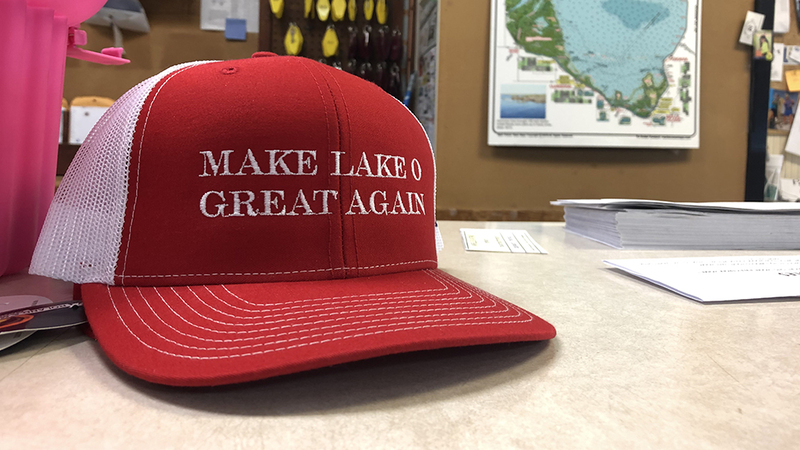 Ahead of the president's visit, Roland & Mary Ann Martin's Marina & Resort in Clewiston is selling hats that read "Make Lake O Great Again" and #StopTheFlow, calling for a reduction to those controversial water releases from Lake Okeechobee. 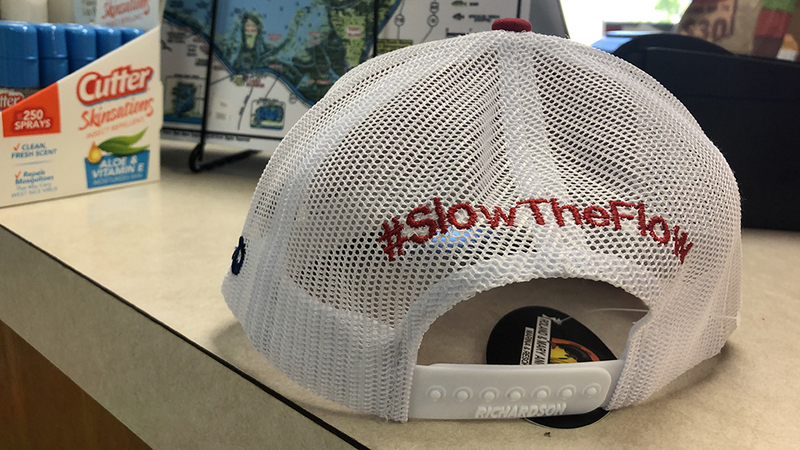 "We want to show him the Lake Okeechobee we know, not the Lake Okeechobee he's told of," said Ramon Iglesias, the General Manager at the marina. "With the shape of the lake, it's pretty sad," said Tim Loftis, a fishing guide. "I'm hoping we can get something done about it." President Trump's 2020 budget proposal is seeking $63 million for Everglades restoration. However, environmentalists and high-profile Republican supporters said the budget doesn't include enough money for protecting Florida's wildlife. "For the third year in a row, the administration’s budget request underfunds critical projects in South Florida. It is incredibly short-sighted to continue to underfund a series of projects that are absolutely necessary to ensure the environmental sustainability and economic vitality of one of the most dynamic regions of our nation. Everglades restoration is critically important to the State of Florida and enjoys broad bipartisan support in Congress. Failing to meet the basic federal funding commitments to restore the Everglades is contrary to the administration’s goal of improving project partnerships and cost-sharing with states. Successive Florida Governors have remained committed to this goal, pushing state funding of this 50/50 federal-state partnership to historic highs. Congress and the Army Corps of Engineers envisioned a $200 million per year federal commitment when the Comprehensive Everglades Restoration Plan was first authorized nearly 20 years ago, and it is time for the administration to meet that commitment." The U.S. Army Corps of Engineers is working at an accelerated pace to repair the dike. That work is scheduled to be finished in 2022. In addition to flight restrictions, road closures and checkpoints are now in effect around President Trump's Mar-a-Lago resort on Palm Beach. All forms of travel, including pedestrian travel, are prohibited on S. Ocean Blvd. from S. County Rd. to Southern Blvd. The travel restrictions also extend eastward to the ocean. President Trump arrived at Palm Beach International Airport late Thursday night following a rally in Grand Rapids, Michigan. Last October, the President signed America’s Water Infrastructure Act of 2018 into law, which created a reservoir south of Lake Okeechobee to filter out toxins that contribute to harmful algae blooms. President Trump most recently traveled to South Florida last weekend to meet with leaders from five Caribbean nations.